In the magical Hidden Worlds exhibition, Australian artist Anna Glynn creates enchanting, dreamlike works, fusing Chinese traditional ink painting techniques with a Western aesthetic to create a new contemporary style. Glynn has spent extensive time in China developing this new genre, utilising the natural character of Chinese materials. ‘Hidden Worlds’ was a showcase for pioneering artworks fusing East and West, traditional and contemporary. 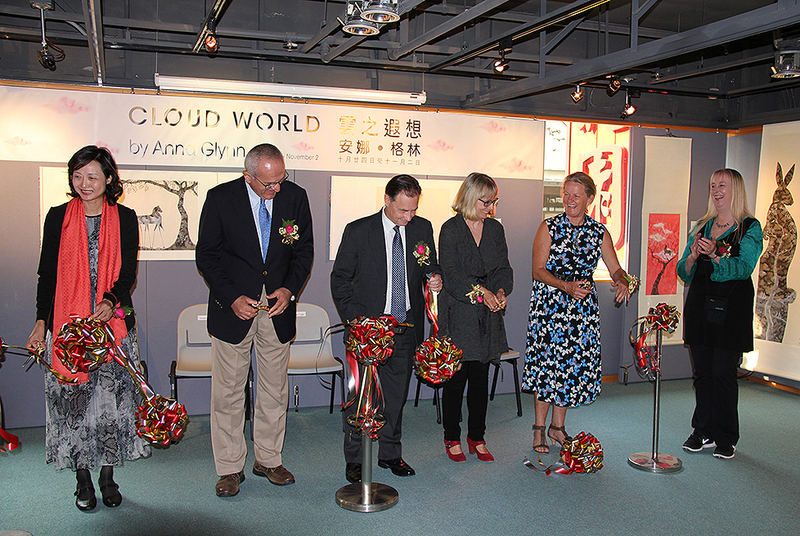 The Hidden Worlds exhibition in Beijing in 2012 was an artist-initiated project by contemporary Australian multimedia artist Anna Glynn. 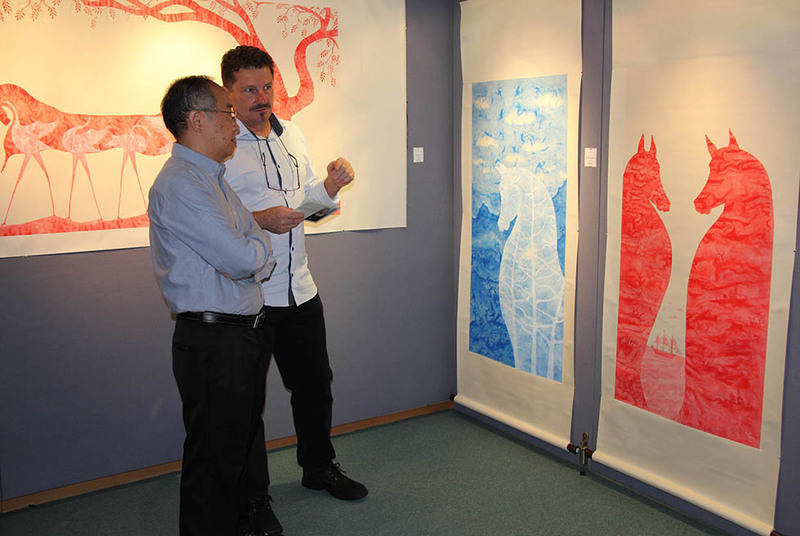 It was the culmination of a number of years work by Anna Glynn in China and was included by the Australian Embassy as part of the celebration of the 40th anniversary of Australia-China diplomatic relations. 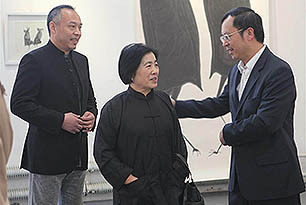 The major partner for Hidden Worlds was Harmony Space Gallery where Glynn worked closely with Chinese curator Wang Yingxiao and director Zhang Tiejun. Since 2006 Glynn has travelled to China every year for exhibitions and residencies, to collaborate with Chinese artists and create new partnerships. 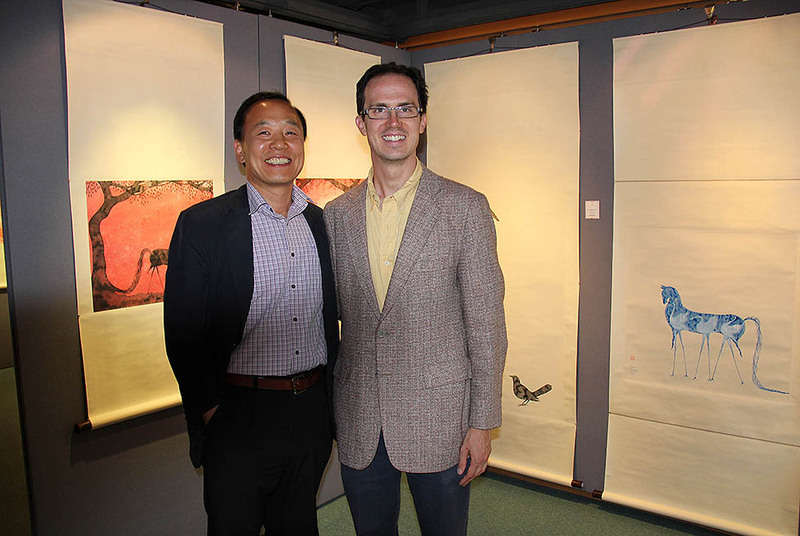 In 2008 Glynn began to develop new works that fuse Chinese traditional ink painting techniques with a Western aesthetic, to create a new contemporary style. During her time in China she developed this innovative genre, utilising the natural character of the Chinese materials to create an enchanted world where, hidden within the image, new stories unfold…nothing is as it seems! 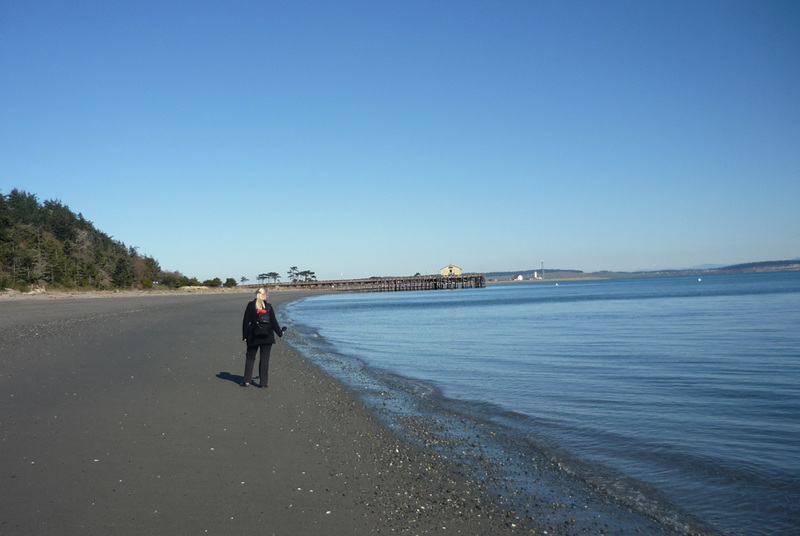 Ephemeral, fleeting layers of time, past and present overlap and resonate with memories and stories. These poetic works rely on the natural materials - a sweep of a traditional brush laden with Chinese ink - precise but random - water and ink – control and flow. Anna Glynn's work using traditional Chinese materials is creating a great deal of interest and positive critical responses from the Chinese audience and Chinese collectors. 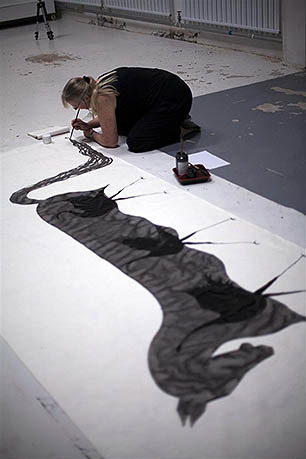 The expansion of her technique using traditional Chinese materials in new ways has garnered great interest both in Australia and China. There has been a strong positive reaction to these works and to their contribution to the development of a fusion between western art designs and traditional Chinese techniques. "Anna Glynn creates a new life with ink using the traditional Chinese painting tools from her personalized perspective of aesthetic appreciation. The swift skill of using ink enables her to show a wonderful world in a completely free and appropriate way. 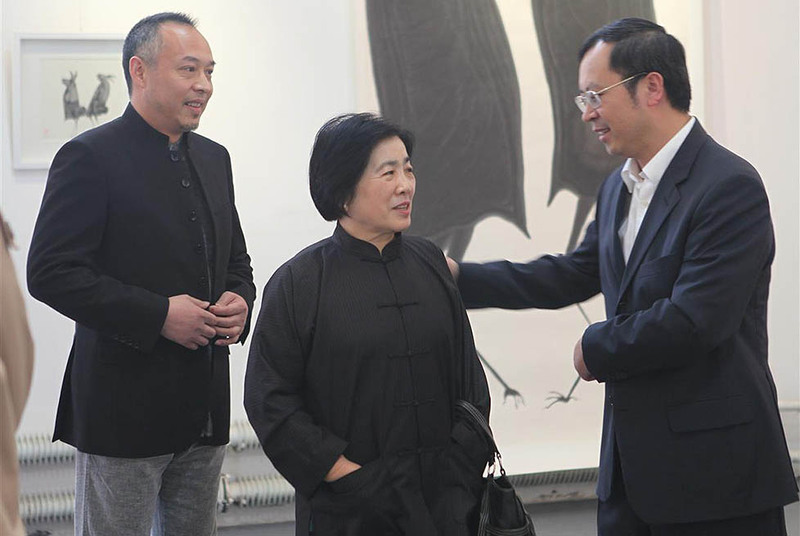 Different experiences in many environments and cultural traditions have freed her from the fixed aesthetic standard for traditional Chinese ink painting and given her full rein to a more humane and creative mastery of ink. Anna Glynn’s paintings have opened up a new frontier, a secret mysterious metaphorical poem opening wide to life. She uses a crystalline lens projecting dream-like images from her inner heart to explain the true meaning of existence." 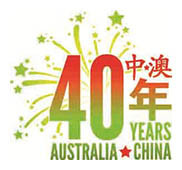 Assisted by the Australian Embassy Beijing as part of the celebration of the 40th anniversary of Australia-China diplomatic relations.